Chandigarh Launch of Can Love Happen Twice book on 24 December. Ravinder Singh himself will be launching the Book in chandigarh on December 24. 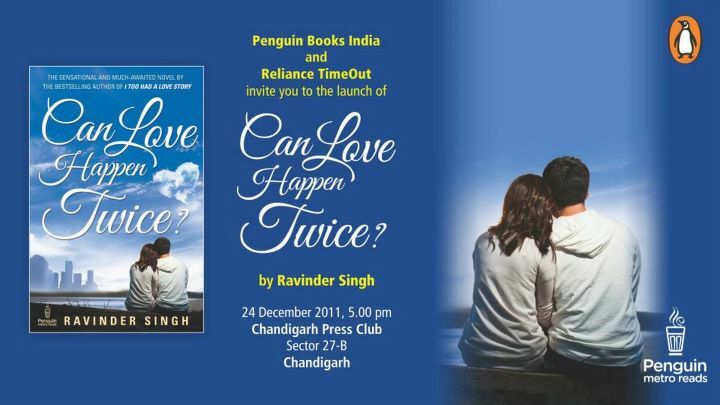 So all the readers and fans of Ravinder Singh are cordially invited at the launch of the book.Penguin books India and Reliance TimeOut invite you to the launch of Can Love Happen Twice.